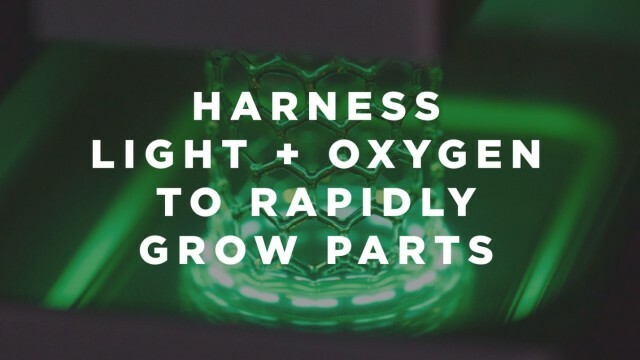 Carbon 3D, a Silicon Valley Startup, announced a new type of 3D printing called Continuous Liquid Interface Production Technology (CLIP). The process allows for the continuous generation of polymeric parts up to tens of centimeters in size with feature resolution below 100 micrometers. For the past 25 years, 3D printing has working by building objects layer by layer. By contrast, CLIP technology objects just rise continuously from a liquid media. The CLIP method was co-invented by the CEO of Carbon 3D, Joseph M. DeSimone, a chemistry professor at UNC-Chapel Hill, along with colleagues Alex Ermoshkin, CTO of Carbon 3D and Edward T. Samulski, who is also a professor of chemistry at UNC. We interviewed Dr. DeSimone for this article. According to their recently published paper entitled, Continuous Liquid Interface Production of 3D Objects, from Science magazine: “When stereolithography is conducted above an oxygen-permeable build window, continuous liquid interface production (CLIP) is enabled by creating an oxygen-containing “dead zone,” a thin uncured liquid layer between the window and the cured part surface. We show that dead zone thicknesses on the order of tens of micrometers are maintained by judicious selection of control parameters (e.g., photon flux and resin optical and curing properties). Simple relationships describe the dead zone thickness and resin curing process, and, in turn, result in a straightforward relationship between print speed and part resolution. We demonstrate that CLIP can be applied to a range of part sizes from undercut micropaddles with stem diameters of 50 μm to complex handheld objects greater than 25 cm in size." This “tunable photochemical process” and oxygen permeable window enable print speeds that are 25x-100x faster than what see from FDM, SLA and SLS printers. Personally, I’ve heard countless stories of people being immediately turned off by 3D printing because of speed alone. They sort of laugh 3D printing off because it takes so long and is relatively unreliable compared to traditional manufacturing processes. With CLIP technology, Carbon 3D is producing parts in minutes instead of hours, because the objects are rising out of liquid media in a continuous fashion rather than deposited or cured layer by layer. This is a fundamentally new approach to 3-D printing, making it suitable for mainstream manufacturing and quality assurance testing. CLIP basically removes three repetitive steps that occur in most SLA printers that use a glass window membrane. The oxygen permeable window used in the CLIP method eliminates repetitive separation, re-coating and re-positioning of the print that occurs with traditional SLA 3D printers. The Carbon 3D team has a sponsored research agreement with UNC and will continue to pursue advances in the technology and the materials used. The potential applications for this new technology range across a huge number of industries- automotive, aerospace, construction, engineering, manufacturing, and medicine. 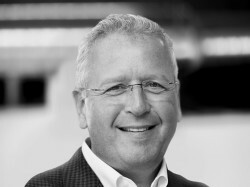 I was fortunate enough to speak with the CEO of Carbon 3D, Professor Joseph DeSimone and the CMO of Carbon 3D, Rob Schoeben, about the company, the CLIP technique and when we can expect to get our hands on these printers. Andrew: Where did you begin your research? What was the catalyst when you began? Prof. DeSimone: We were actually trying to emulate the T-1000 from Terminator 2. It was really sort of a visceral feeling for us. What we are reporting basically, is just our first entre into this. We have a lot going on, where we focus on the best ways to bring resin to the build surface. That whole concept of having an active build surface as the interface while you’re crafting this object in a way that doesn’t have any oscillations in chemistry as you build it, is a powerful way to think about this as we move forward. Inspired by the T-1000 appear right off of the floor, which is crazy right? 3D printing is in many ways is a celebration of mechanical engineering, and the precision of doing very thin layers over and over again. And as material scientists, as chemists, we saw some similarities and analogies with things like growing crystals and having an active interface grow something. The challenge is, we don’t know how to reverse it, like the T-1000, you know, to make it go back into a puddle, it’s something we have to work on. Andrew: Could you describe the importance of the oxygen permeable membrane and provide a bit more detail of how it works in the CLIP method? One of my favorite images is figure 1 in the Science paper. If you look at figure 1C, we are looking at few ramps, which were all made at the same build speed. Think about the one at the bottom, where we are building a ramp. We are building it upside down, so the bottom of that image is being built first as we grow the part. As we pull in the Z-axis, we’re changing every micron in Z, and making the image smaller and smaller so that you have a beautiful ramp. So for every micron in Z, we are changing the image. On the top, we are growing it at the same speed, but we don’t make the image smaller until we get to 100 microns in Z. What’s interesting here is that the part is absolutely identical on the inside, and all you are doing is changing the surface of the ramp. To put that in context, if you tried to print that by a layered approach, in order to go from 100 micron slicing to 1 micron slicing, you would have to slow down the process by a factor of 100. In our case, we’re just changing the image while we grow. There’s a chemically active surface while the part is being grown, we think of it as an interphase. If you break these parts, in fact, we made these wishbones out of one of our more brittle materials, and it fractures into 3 brittle, glassy parts. There are no layers. Andrew: What are some problems you encounter when you switch the images mid-print? Prof. DeSimone: What’s interesting is that electronics and switching images can be really bad on the timescale of the chemistry. Free radicals are active from tens of milliseconds to seconds. You can change the frame rate to be much shorter than that. Andrew: So are the free radicals being used as a type of controller to temper the characteristics of the oxygen permeable window? Prof. DeSimone: When the UV light hits a photoinitiator, it generates a pair of radicals. We call that a primary radical, which can do one of two things: it can initiate polymerization, converting the liquid resin to a solid, or it can react with the oxygen, and the oxygen will quench and kill it. And the rate constant for the reaction of the radical with oxygen is much faster than the rate constant for the radical to react with the liquid resin. So if you have any oxygen present, the oxygen will do its job quicker than the polymerization process will take place. All resin has certain amount of dissolved oxygen in it, and you normally don’t kick off a chemical reaction until the oxygen is all gone. But in our particular case, we have a large supply of oxygen coming through the window, so you can imagine if we had too much light, we can override the oxygen and that polymerization front will slam down on the window, and we would have to peel, like everyone else. But if we control the amount of oxygen relative to the amount of light (it’s easier to control the light than it is the oxygen regarding a fixed membrane), then we can grow these parts in a fixed manner. Andrew: How much of these adjustments are automated with respect to the software you are using? Prof. DeSimone: Right now, this process works because we understand the physical measurement for every resin. Every resin is different. For example, we need to know how much light is needed to solidify the resin. We need to know how far the light penetrates into the resin. The light penetrates further than the oxygen. That’s important in being able to make a part. Viscosity is really important as it plays a role in resin renewal. All of that is rolled up into software code, almost like an API for a 3D printer. Every resin has a different set of code, so we can do some quick measurements on each one of our new resins, and upgrade our code to make it printable. It’s great software that will make the user experience wonderful, and people don’t have to worry about that. Andrew: Can you talk a little bit about the reliability of the Carbon 3D prints versus other 3D printers? Prof. DeSimone: As you know, when you print parts by a 2D process over and over again, the layers will give rise to properties that are a function of the orientation of the layer relative to the orientation of the part. You’re making something that looks like shale. Mechanical properties are tested via different test prints. With 2D, you print it flat or vertically, and the properties change relative to the direction of the print. With our prints, the properties stay the same no matter how you print it. Andrew: So what’s next on the agenda? Prof. DeSimone: The company is doing great. We have the best investors in history, and we think of ourselves as Silicon Valley’s 3D printing company. What that really means is a different mindset –we are focused on innovation, big data, and converging disciplines - owning the intersection of hardware and software to create great things. We’ve got really serious investors in Sequoia and Silver Lake. Sequoia launched Cisco, Google, Apple, Paypal, Yahoo and WhatsApp. Andrew: Is there a price range or product roadmap you can share with us right now? Prof. DeSimone: Right now, we’re just focused on the technology, and we aren’t announcing the product yet. Robert Schoeben: We have a round of Beta to process now, and we’ll have another one later this year. Also we will introduce what is the final definition of the first product later this year. Within the next 12 months, you can expect to see the first product from the company.